100 correspondents of eight community multimedia centers located in six regions of Kyrgyzstan took part in the two-day training course on developing of citizen journalism in remote areas of the country. Trainings were organized by Media Workers’ Trade Union of the Kyrgyz Republic with the support of the UNESCO Almaty Cluster Office within the joint EU and UN project "Operationilising Good Governance for Social Justice". During these courses, rural correspondents had gained knowledge and skills to apply the principles of civic journalism in community multimedia centers’ activity. Participants discussed the current state of journalism and opportunities of citizen journalism in solving vital problems of people, in developing villagers’ living standards through improving their interaction with local public authorities, as well as through development of villagers’ civic activity. "In this training, I realized that we need to take active part in solving common problems of our village, as well as to influence for the decisions of local authorities", - says Abdilamit kyzy Gulasel, correspondent of Community multimedia center in Kyzyl Bulak village, Batken region. Expert of the UNESCO Almaty on developing community media Valentina Galich held 8 master classes on basic principles of mobile applications "Voice of Village» and "UN News." Participants have practical trainings in using and dissemination applications among local people. Most part of two-day training devoted for practical work. Correspondents created journalistic materials on rural problems, on quality of public and municipal services, on activities of local governments. The main part of materials concerned on problems of clean water, on quality of rural roads, lack of different cultural and educational circles, lack of choice for different literature in local libraries. Rural correspondents created materials with great enthusiasm, published them and eagerly awaited the appearance of their material in application "Voice of Village". "During the training, I learned that the main mission of journalism - is to change the life of society for the better. I wish that our village have good roads, each house have water pipes. I wish that everyone had opportunity to live and work near his or her children not going far away looking for job. In future I want to be a journalist, and to contribute on improving the life of society "- says Baimurzaeva Cholpon volunteer of the village Oogan-Talaa, Jalal-Abad region. As rural correspondents touched the themes of education, development the awareness of people, strengthening civic activity of villagers and created materials on parenting, acquainting with books since early childhood, local talents, beauty and protection of nature. "I always thought that we do not have interesting topics in our village. After the training, I realized that we have many interesting and important topics which should be covered"- says Tursunbayeva Sinarida, volunteer of Community multimedia center of Oogan-Talaa village, Jalal-Abad region. 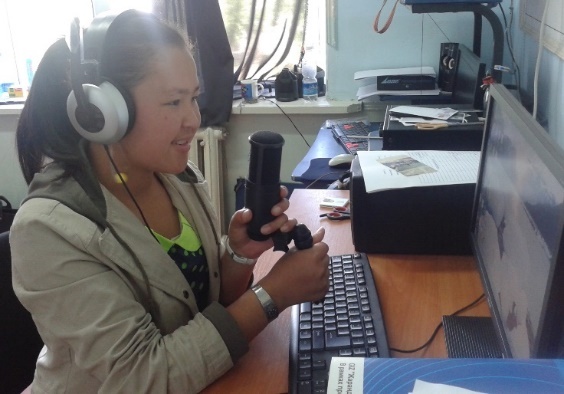 Media Workers’ Trade Union of the Kyrgyz Republic will continue to work with correspondents of Community multimedia centers in distance form and will provide them with consultative and creative support. Trainers - chairperson of Media Workers Trade Union Meri Bekeshova, Head of the Public Association “Journalists” Marat Tokoev. The UN Joint Project “Operationalizing Good Governance for Social Justice” was launched in October 2011 and will continue during 36 months till October 2014. 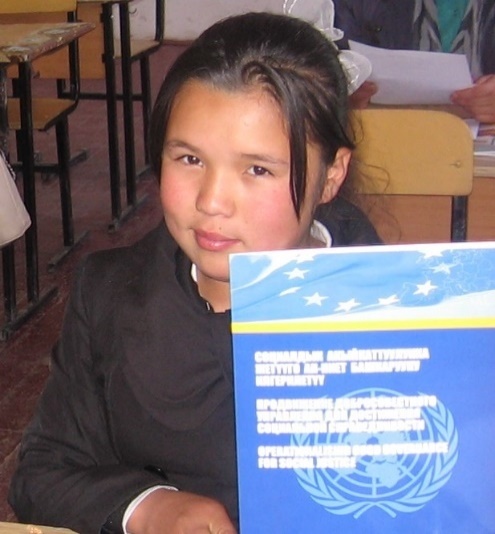 The goal of the project is to boost the realization of the civil right to public services, especially for vulnerable groups of people - women, youth and children of 30 villages in 7 provinces of Kyrgyzstan. UNDP, UNICEF, UN-Women and UNESCO support this project. The European Union provides financial support of this project together with the above-mentioned UN agencies.